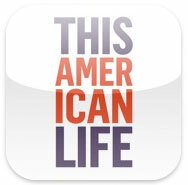 Me: Yeah, we can listen to "This American Life." Hubsand: What is this about? Me: Could you not hate it? I'm happy I get to hear it. Isn't that a good thing? Hubsand (in his best Eeyore voice): It's what I live for.